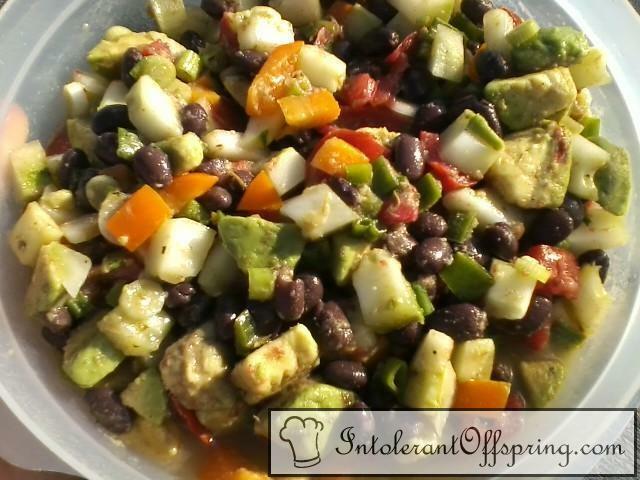 In a large bowl, combine black beans, avocados, cucumber, tomatoes, green onions, bell pepper, and jalapeno. In a small bowl, whisk together lemon juice, vinegar, olive oil, cumin, oregano, salt, and pepper. Pour over vegetables and toss to combine. Cover and refrigerate at least 1 hour before serving.